This summer in Washington D.C. has been surprisingly mild and beautiful – which for me translates to being unusually conducive to patio wine sipping. Such opportunities call for a wine that is crisp and refreshing, but my favorite sippers are those with a bit of depth and complexity to keep things interesting. The Novellum Chardonnay I recently reviewed has been serving us quite well but I decided it was time for something a little different! On a recent trip to Costco in Arlington the J Pinot Gris caught my eye. I hadn’t had a Pinot Gris in quit some time, and I had always enjoyed it’s relative expressiveness compared to that of Pinot Grigio. 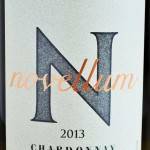 Nose: The nose suggests a light and crisp wine with notes of melon and grass. On the palate: This is slightly fuller than the soft and subtlety aromatic nose suggests. The mouthfeel is lush and juicy with notes of sweet honeydew, lime, pear, banana and glycerin. This is crisp with a nice streak of minerality on the clean, lingering, slightly off-dry finish. Should you buy? 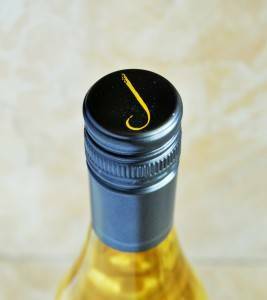 Yes, the J Pinot Gris won’t last long in your glass! The J Pinot Gris was regularly priced at $11.99 but was on sale the day I was at Costco. Even at the retail price of $16 this well made Pinot Gris is well worth your consideration, but getting it under $12 is a great value. And don’t limit your enjoyment to patio sipping, as this begs to be paired with something spicy, preferably in an alfresco setting. 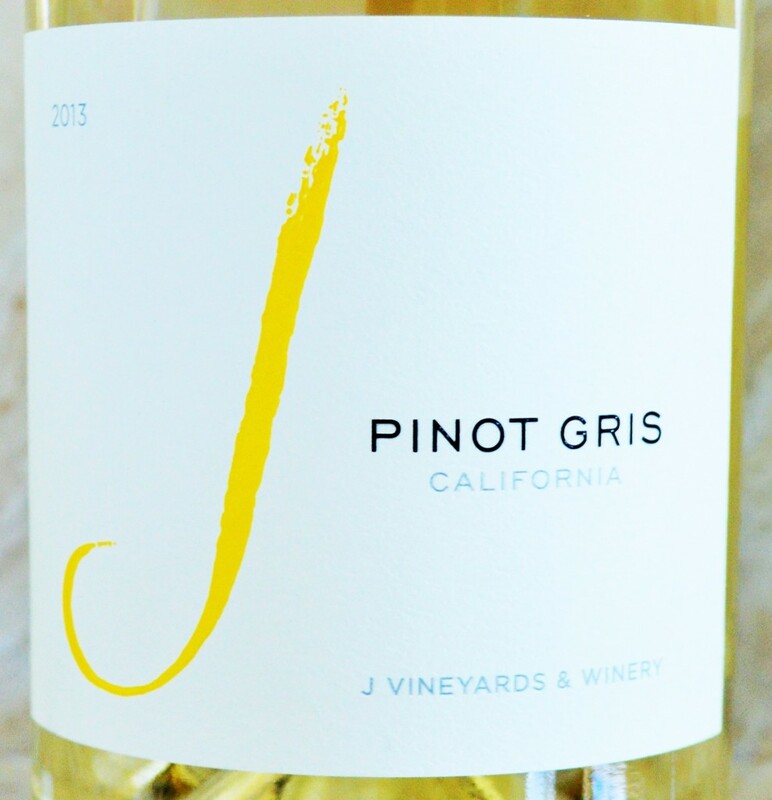 The J Pinot Gris is brought to us by Judy Jordan of J Vineyards & Winery. If the name Jordan sounds familiar, it should come as no surprise… That’s because she is the daughter of Tom Jordan, who founded the highly successful Jordan Winery in Alexander Valley. It seems a knack for making great wines runs in the family! While Pinot Gris and Pinot Grigio are actually the same grape, its interesting just how different they can be. It just goes to show you how much of an impact ‘terroir’ truly has as variations in soils, climates and wine-making techniques all come together to create a truly unique wine with its own sense of place. If you find Pinot Grigio’s in this price range too light or uninteresting then give the J Vineyards Pinot Gris 2013 a try. 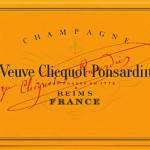 You might just find that California’s take on this French varietal is just what the doctor ordered! 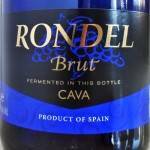 Rondel Brut Cava NV Review – At under $10 this Spanish Cava is likely to become your bargain go-to bubbly! 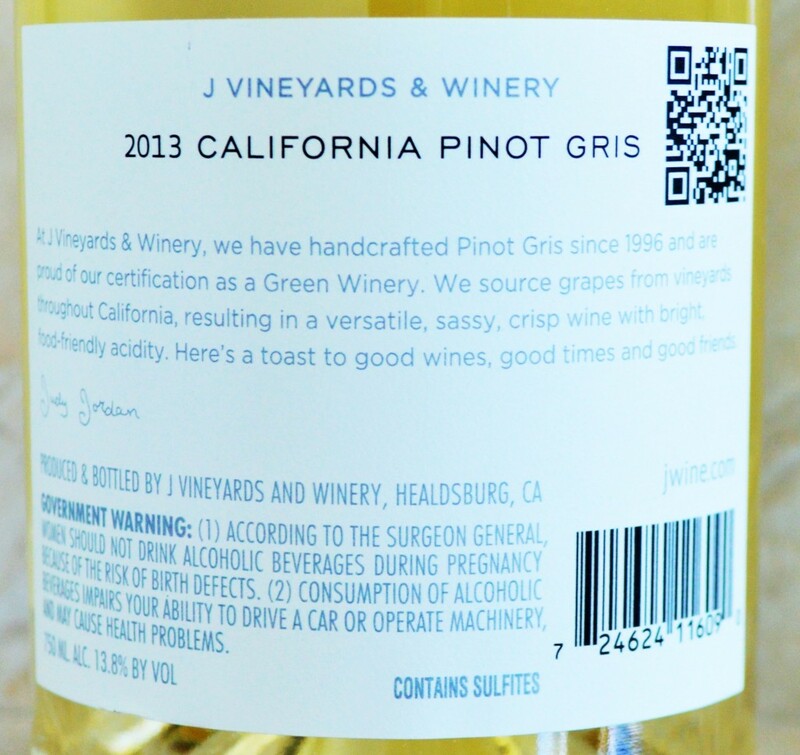 This entry was posted in Between $5 and $9.99 | Reviewed, California Wines - Reviewed, Costco Wines - Reviewed, Still White Wines, Under $10, Under $100, Under $15, Under $20, Under $30, Under $50, Under $75 and tagged J Gris, J Pinot Gris 2011, J Pinot Gris 2012, J Pinot Gris Costco, J Pinot Gris Price, J Pinot Gris Review, J Vineyards, J Vineyards Healdsburg, J Vineyards Pinot Gris Wine on August 28, 2014 by The Fermented Fruit.